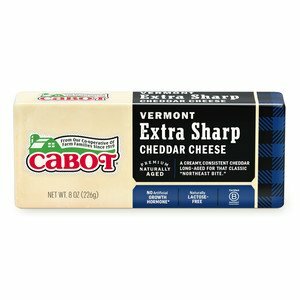 Looking for a simply delicious cheddar cheese sauce? 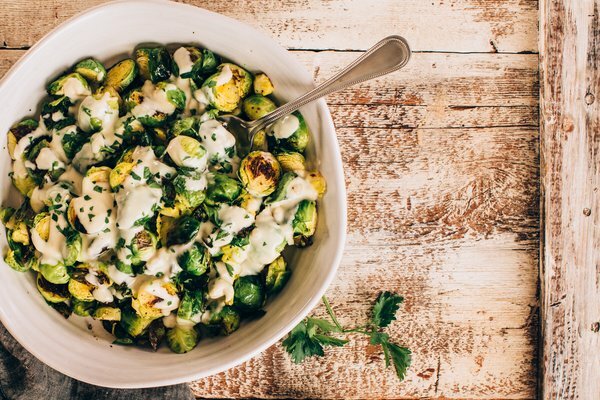 Our recipe will liven up everything from broccoli and cauliflower, to baked potatoes and pasta. It’s also great poured directly over crunchy tortilla chips and served as a dip for soft pretzel bites. And it comes together in just a short amount of time, making it convenient to make even on the busiest of days! Once you’ve tried it out, be sure to share the recipe with friends and family on Facebook, Pinterest, Instagram, and Twitter. When making homemade cheese sauce, the key to creamy results is thickening the milk with a mixture of melted butter and flour. This thickens the sauce before the cheese is added to ensure a smooth texture. 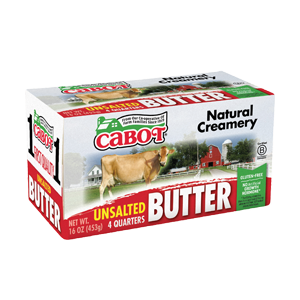 You’ll start by melting Cabot Unsalted Butter in a saucepan over medium heat. Once melted, add flour to make a roux and then whisk in milk until smooth. Add the salt, pepper, and garlic powder, and increase the heat to medium-high. Then bring the mixture to a simmer and be sure to stir constantly until the mixture thickens – approximately 2 to 4 minutes. 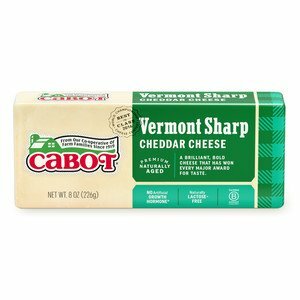 Remove from heat and stir in 6 ounces of shredded Cabot Vermont Sharp Cheddar or Extra Sharp Cheddar until smooth. This cheese sauce is fabulous served right from the stove, nice and hot. But it also keeps well tightly covered in the refrigerator for about a week and can be heated up right before serving. 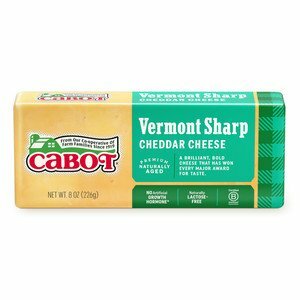 If you love this recipe, think about experimenting with different cheddar varieties and stir-in options using this same basic technique. There are many delicious possibilities! Want another great and simple cheese sauce recipe? Our Basic Cheddar Cheese Sauce is a must try. 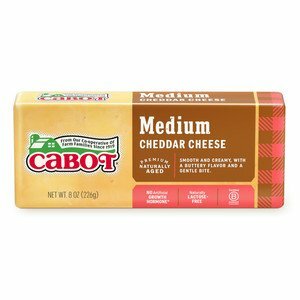 As a cooperative of over 800 farm families, Cabot continuously strives to produce the best dairy products that are around. If you enjoy our simple cheddar cheese sauce, we’d appreciate it if you could rate and review the recipe it after trying it. MELT butter in a medium saucepan over medium heat. ADD flour, and stir to make a roux. WHISK in milk until smooth, scraping roux out of the corners of the saucepan with a heat-proof spatula if necessary. Add salt, pepper and garlic powder and increase heat to medium high. Bring to a simmer, stirring constantly until the mixture thickens, 2 to 4 minutes. REMOVE from heat and stir in cheese. Stir until smooth. Recipe courtesy of Katie Webster.